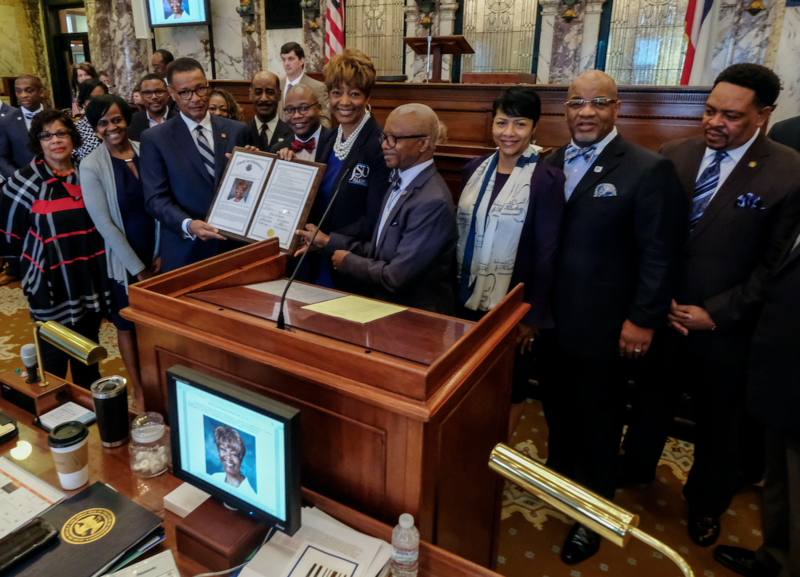 The Mississippi Senate honored Jackson State University National Alumni Association (JSUNAA) President Dr. Earlexia Norwood on Tuesday during JSU Day at the Capitol with a presentation of Senate Concurrent Resolution 534 commending her professional and community achievements. “Jackson State provided me with a foundation through educational and cultural experiences and now years later I am being recognized for my success,” says Norwood. Dr. Norwood is a board-certified family medicine physician, who has practiced at Henry Ford Health System (HFHS) since 1993. She currently serves as service chief of family medicine for HFHS West Bloomfield Hospital, director of practice development and community health education, ambassador for healthcare equality, and global health ambassador for the Breaking Walls Organization. She has also been honored as the JSUNAA Alumnus of the Year and elected to the JSUNAA Hall of Fame. Dr. Norwood has been named an “Distinguished Alumni” by the National Association for Equal Opportunity’s National Leadership Summit and has served JSUNAA in numerous capacities. Dr. Norwood is an assistant clinical professor for Wayne State University School of Medicine and serves on the Multicultural Leadership Committee for the American Heart Association. To view additional photos from JSU Day at the Capitol, click here.